There are plenty of new homes being built in the Charlotte / Lake Norman area. All sizes, all price points and and all styles. Thirty six new residents move to the Charlotte area everyday. A strong economy and plenty of commercial development are causing a need for plenty of residential development. Whether you are looking for a condominium, town home or single family home there are many to choose from. People are shocked when they see what they are able to purchase for the money down here in the south. A highly competitive market creates competition between builders and great deals for buyers. Come see the Lake Norman area and you will sold on the area rather quickly. Many other people have and still are. There are many reasons why. Are you tired of the cold weather, the high prices due to lack of space and high population, maybe it’s the irritated people dealing with the daily rat race. Sound familiar? It was all of the above for me. Although there are many great things about living up north, my wife and I were ready for a change. We were looking for that perfect place to move. After searching high and low and investigating different places that fit the criteria we were looking for, the Lake Norman area seemed to look the best. We visited a number of other possibilities and we decided that Lake Norman, North Carolina was the perfect fit. By now I’m sure you’re wondering what is so special about Lake Norman. Well, there are a number of things. Over 500 mile of shoreline and over 30 miles long, Lake Norman is the largest man-made lake in the North Carolina. If you do not feel like hanging out at the lake you are just 15 minutes from the city of Charlotte, 45 minutes from the mountains and 3 hours from the ocean. Lake Norman area’s geographic placement is perfectly placed. The weather is great. North Carolina has really long spring and fall seasons which average in the mid 70’s with almost no humidity. The economy is anchored by companies such as Lowes Home Improvement, Rubbermaid and Irwin Tools along with the major industries of Banking and NASCAR. A strong economy breeds job growth and job growth breeds relocation to the area. Thirty six new residents move to the Charlotte (Lake Norman) area everyday and they all need a place to live. Homes in the Lake Norman area are priced from the low $200’s to up over $5 million. The Charlotte area (Lake Norman) has been voted one of the top places in the United States to live by Forbes Magazine and was one of only five cities in the United States that gained home value in 2007 (June ’06 to June ’07). It’s that place you have been looking for. The Charlotte Area is 1 of 5 areas in the United States that home values rose in 2007. Amongst all the media driven panic about the housing market going bad, five areas in the United States gained home values in a year that most areas lost value. The Charlotte area, Lake Norman included gained 6.8% in home value from June of ’06 to June of ’07. I generally serve the Lake Norman area which is about 15 minutes north of the city of Charlotte. Although the market has slowed here as well, it remains very strong as a whole. 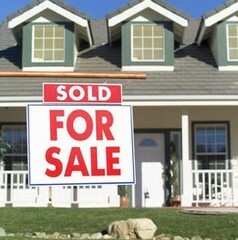 Many buyers are still contacting me on a weekly basis to find a home in the Lake Norman area. I have found that the biggest obstacle I have been dealing with is that people looking to move here from out of state are having more trouble than usual selling their current house. This has caused local home listings to stay on the market a bit longer than they were in months past. The bottom line is that the Charlotte / Lake Norman real estate market is still very strong but is being slightly affected by other markets not doing as well. If you are looking for a place to move that has a beautiful lake with plenty to do, is 40 minutes from the mountains, 15 minutes from the City and 3 hours from the Ocean, Lake Norman North Carolina is worth checking out. The Charlotte area has been voted one of the best places to live in America by Forbes Magazine and a number of other national publications. West Iredell Water Corporation1216 Island Ford Rd. If you are looking for an Estate Style home that has all of the luxurious features you could ever want, you have found your dream home. This Mooresville, NC 7111 square foot gem of a home that was originally built 1896, has the classic architecture of yesterday with the technology of today. Fully renovated it sits on nearly 3 acres of land that includes a serene courtyard looking out to the garden and a large fenced in yard. The home has had several additions over the years and has recently undergone a full renovation (just 6 years ago) with all of the finest features including coffered ceilings, ambient lighting, original fireplaces (currently not used), striking crystal chandeliers, a new 60 year roof, custom trim work, marble / hardwood floors and much, his and hers master bathrooms and much more. 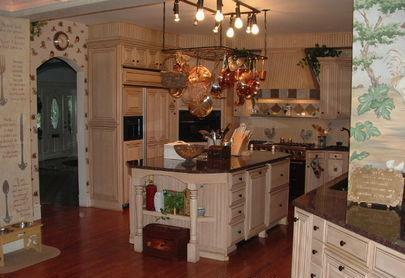 Enjoy the huge gourmet kitchen that the finest of chefs would be delighted to have. It includes a Viking Stove, electric ovens, instant boiling H2O, Advantum microwave, Gaggenau grill, 42 inch cabinetry, matching refrigerator, vegetable sink, refrigerator drawer, crisper drawer, granite counter tops, 7’x4’ island with built in garbage storage and large hanging pot rack above, 2 garbage disposals and multiple appliance garages. Other: Fully equipped guest house with partial kitchen, full bath, sitting area and storage. Equipment: Cable Pre-wire, CO Detector, 2 Dishwashers, Viking Gas Range/Electric Ovens, Range / Hood, Refrigerator, Security System, Smoke Detector, Ceiling Fans, Intercom and 2 Disposals. Remarks: New Wiring, New Pluming, New Insulation, New Windows, New 60 Year Roof. The home was fully renovated 6 years ago. Additional Information: This home must truly be seen in person. A beautiful representation of Colonial-Estate living with the technology of today! River Oaks at Lake Norman is the newest waterfront and golf course community to be built in the beautiful Lake Norman area. The community is already underway and will be divided into two nearby sections. Phase one of The Fairwayswill offer approximately 75 homesites that will be placed around the perimeter of the newly renovated 18 hole par 71 golf course. The Fairways will also include an owner’s lounge, pro shop, 19th Hole Grille restaurant as well as an adjoining practice area that will include a putting green and driving range. The Landingwill be located along the shores of Lake Norman where it meets the mouth of the Catawba River and will consist of approximately 160 single family home-sites and will also include a club house that will be named “The Catawba Club”. The club house is designed to be the center of all activity at The Landing and will include an owner’s lounge, Riverfront Grille, fitness facility, all season pool, whirlpool spa and changing rooms. Phase two of The Landing will include mansion style buildings that include 6-8 condominium each. The complex will include approximately 250, 1-3 bedroom units and have its own parking garage. Prices will start in the $300’s.Additional amenities that will be available at the landing will include a marina with private boat launch, tennis complex area and nature walking trails. Other plans for the landings area will include additional retail space, office space, and town-home/condominiums and restaurants. This project will be the gem of Lake Norman when it is completed and is definitely worth checking out.